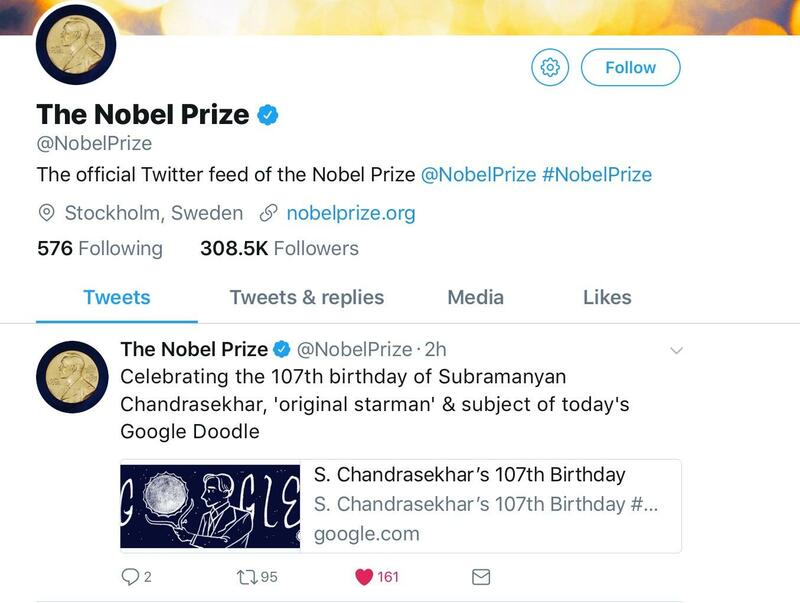 Described as a “child prodigy” and hailed as the first astrophysicist to win a Nobel Prize for his theory on the evolution of stars, Diwali on Thursday would have been Subrahmanyan Chandrasekhar’s 107th birthday. In his honour, Google is changing its logo in 28 countries to a doodle, or illustration, of him and the Chandrasekhar Limit today. ~ aljazeera.com Visit aljazeera to read a brief but nicely detailed piece about his life, honours, philosophy, and career. He was a brilliant thinker and very accomplished scientist. Born and raised in India in an educated family, his uncle, Sir CV Raman, won the Nobel Prize in Physics in 1930. 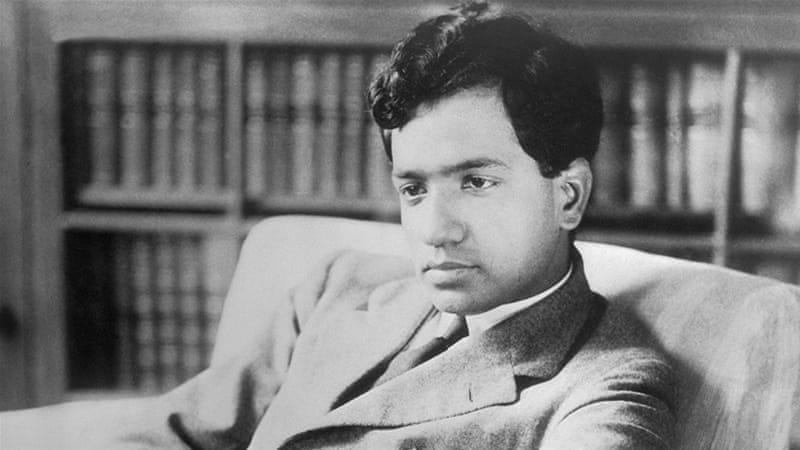 ‘In his autobiography, Chandrasekhar referred to his mother as “My mother Sita was a woman of high intellectual attainments.”‘ He received a scholarship and PhD from Cambridge, taught at the University of Chicago. In Chicago he was invited to join the Manhattan Project to develop the atomic bomb but could not obtain security clearance in time to do so. He instead worked in the ballistic missile program in Maryland. He received numerous honours in his lifetime as well as other achievements. 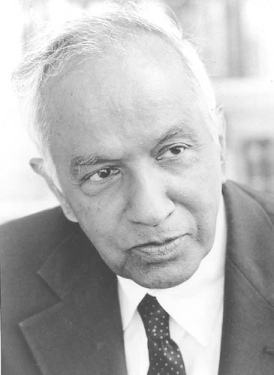 Subrahmanyan Chandrasekhar and his theory are referenced in this quick video “DYI How to Make a Black Hole” from Open University.